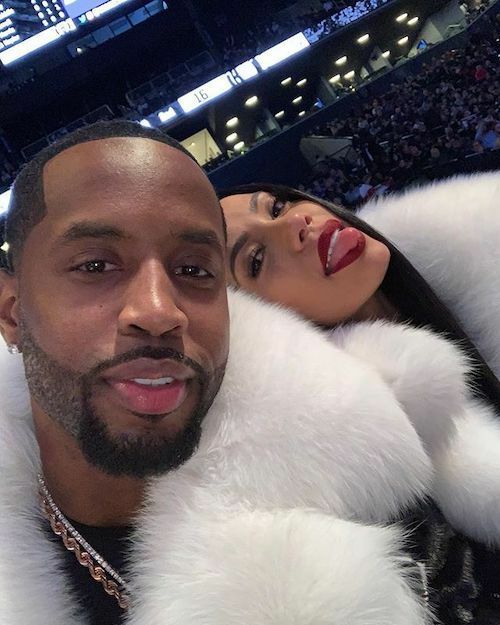 Late Christmas Eve night, Safaree and Erica's friends posted videos of the twosome making it official. Safaree had flowers and candles on the floor, Erica was in a white gown, and he got down on one knee with the equivalent of K-Ci and JoJo in the background. Then, a fireworks show commenced. Yes, fireworks. That's baller money. But maybe it was sponsored. The cute couple had everyone's ears perking up when they showed up to an NBA game together less than a month ago - in matching jackets - and it was seemingly their way of announcing their now dating. Safaree's been jonesing Erica ever sense they starred on Fear together. And now that he's been vocal about wanting a wife and kids, he seems to have gotten his wishes fulfilled. We're sure it's going to get even more personal now. Both have been saying they want someone "real" to settle down with. This was certainly not our first thought of a hookup. But folks find love in hopeless places. PREVIOUS: Lira Galore Announces Pregnancy After (Ex?) Boyfriend Pierre - Head Of Quality Control Label - Outs Her AND Allegedly Impregnates Someone Else.